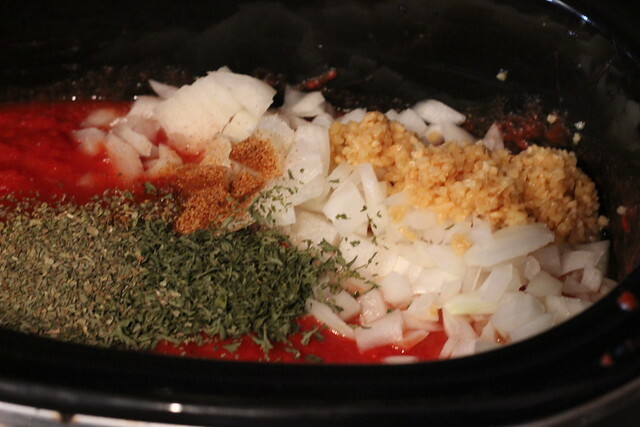 You are here: Home / crock pot / Slow Cooker Spaghetti Marinara Sauce Recipe. 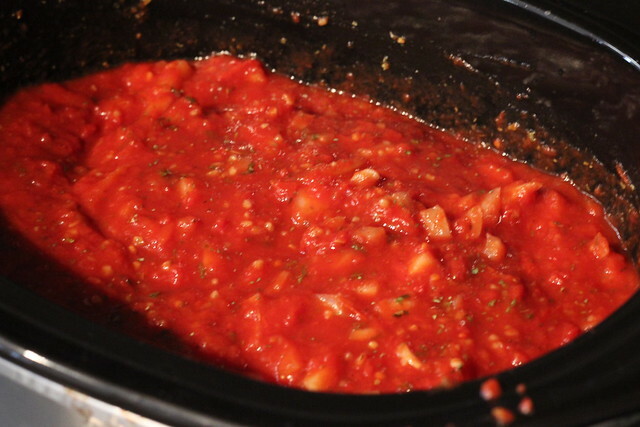 Slow Cooker Spaghetti Marinara Sauce Recipe. 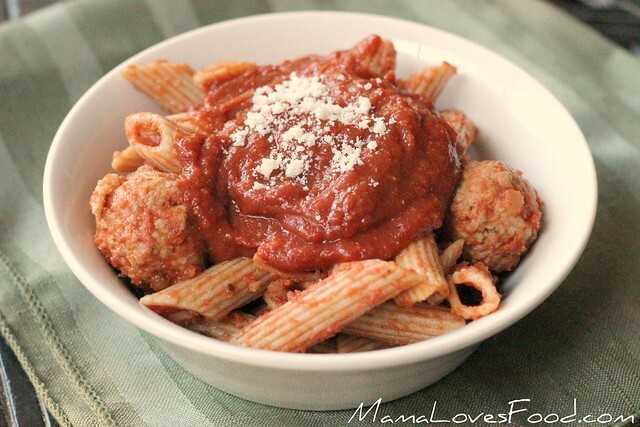 This Slow Cooker Spaghetti Marinara Sauce Recipe comes to my rescue when we (inevitably) run out of jarred marinara sauce on spaghetti night. Thankfully it’s made from ingredients I always have floating around the pantry, it’s super easy, and ‘oh hey!’ it tastes good too! 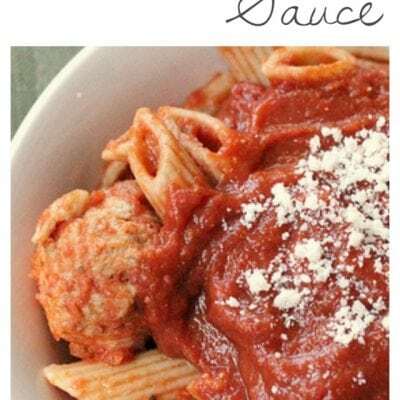 Go ahead and make it a meal with whole grain pasta, or Zucchini Noodles, Turkey Meatballs, and Two Minute Garlic Knots! Combine all ingredients EXCEPT brown sugar and Parmesan cheese in the crock pot. Give a quick stir and cook on high for 4 -6 hours or low for 8-10 hours. Puree sauce to desired consistency using an immersion blender (or by carefully transferring to an upright blender). Stir in brown sugar and Parmesan cheese. « “Are We There Yet? !” Road Trip Emergency Packs! Could you omit the onions and substitute onion powder? I am very sensitive to onions…cooked and uncooked! @tara i bet it would work just fine with onion powder! if you try it come back and let me know if you liked it!